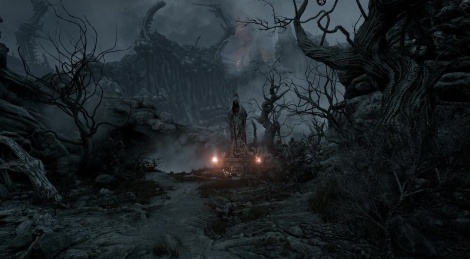 Get a glimpse at the dark biomechanical world and mystical atmosphere of Inner Chains, the upcoming FPS horror game, with the first eight minutes of gameplay released today by Telepaths' Tree. The Kickstarter-funded title is set to release in Q1 2017 for PC, PS4 and Xbox One. Looks kinda boring. I mixed this and scorn up for a second too and wondered what the hell happened to it. Lol. Interesting, but I don't get it. So that's what itd look like if HR Gieger did a mortal kombat game. So the ps4 version is confirmed, nice. Choppy frame rate and animations, video poorly put together as a showcase, but the visuals are very interesting for sure.